It's that time again, today I'm running you through a list of items/products that I have been loving this last month. As you can see I've slipped in a few festive choices as I'm feeling particularly Christmassy right now, I love it when things get seasonal! 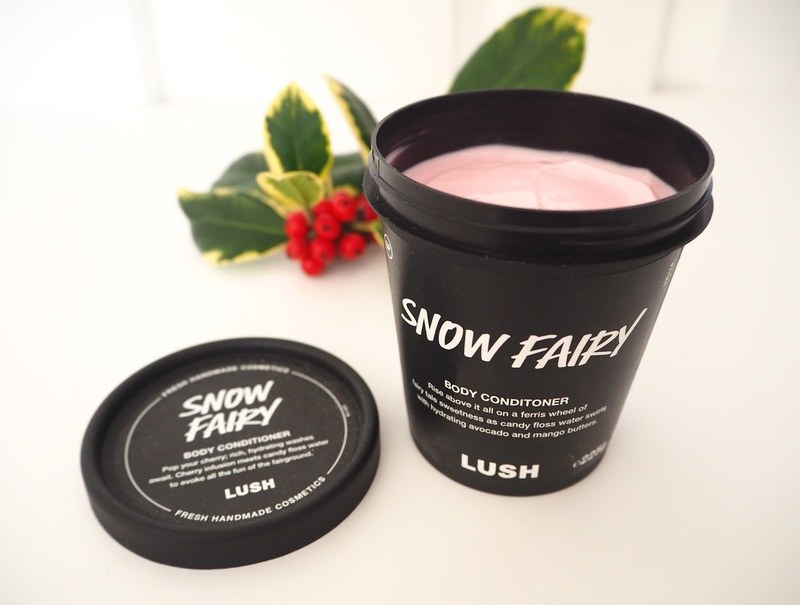 Snow Fairy Body Conditioner | Ahhh Snow Fairy... Its a Lush Christmas classic that always has us fans stocking up so we have enough to last us throughout the year! Originally only launched in the shower gel formula (although the scent is similar in Candy Mountain Bubble & the solid Perfume has made a few exclusive appearances in the Lush Kitchen!) they have now branched out into a body conditioner/lotion. This candy pink lotion smells so divine, perhaps a little less bubblegum & a little more cherry candyfloss than the shower gel but that suits me fine. I love it SO much I need to make sure I get another couple before Lush's Christmas stock ends! "Rise above it all on a ferris wheel of fairytale sweetness as cherry infused candy floss water swirls with hydrating avocado and mango butters to evoke all the fun of the fairground". 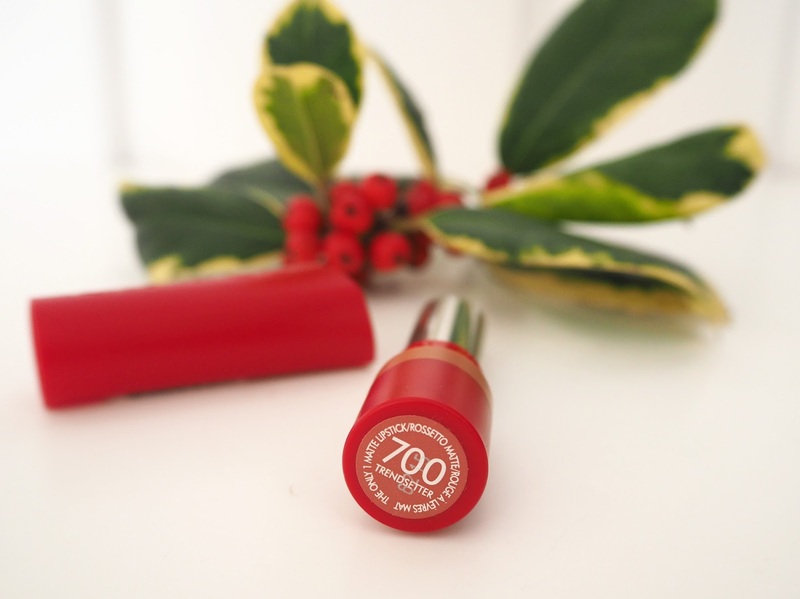 Rimmel Matte Lipstick in shade Trendsetter | I did a whole blog post on entire set of Rimmel Only 1 Matte Lipsticks recently as they're a brand new release & formula. This however is the one I have been using almost everyday recently. I'm obsessed with it and have even bought a back up! Which I think is always the best sign of a cracking product. Trendsetter is the palest & most neutral shade of the nine and I feel it really flatters my skin tone. I swatched it next to Mac's Velvet Teddy & it is a great dupe for less than half the price! 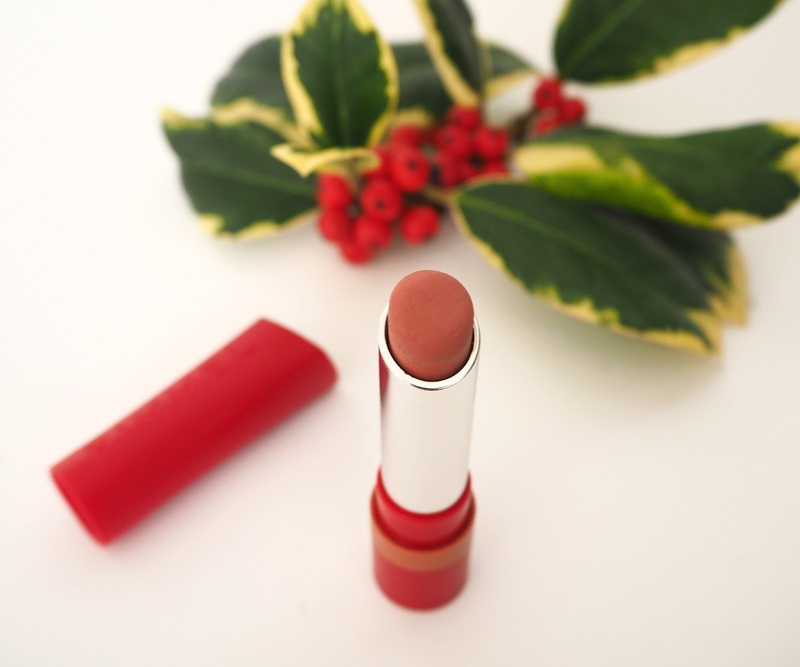 The formula is long lasting with a comfortable suede-like finish that doesn't leave my lips feeling dry and horrible like some other matte lipsticks I've tried, this one feels really lovely - winner! Accessorize Cocktail Ring | How beautiful is this ring?! I have a bit of a thing for Accessorize statement rings and have built up quite a collection in my magpie-like way over recent years! 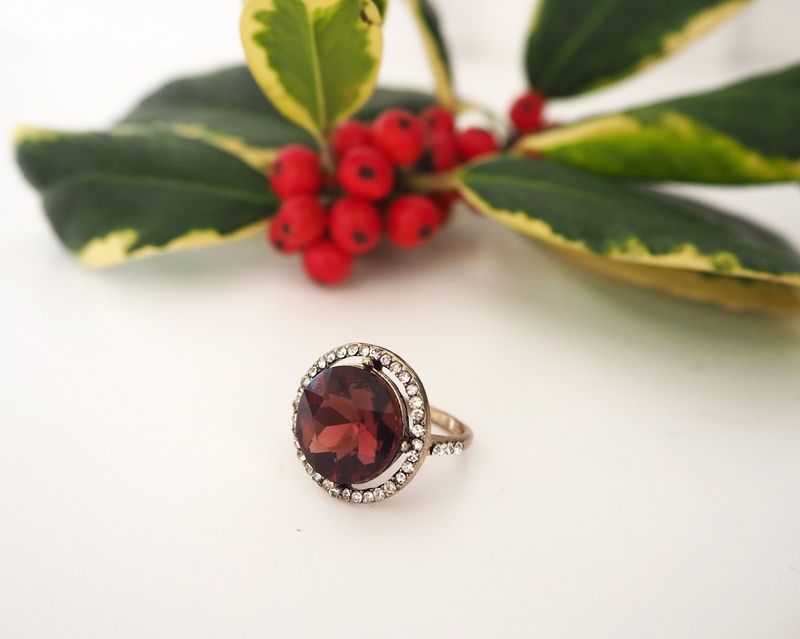 This one has true vintage glamour, I love the wine-coloured stone and how it reflects the light wit... h its faceted cut along with the crystal studded frame it makes this ring really twinkle. 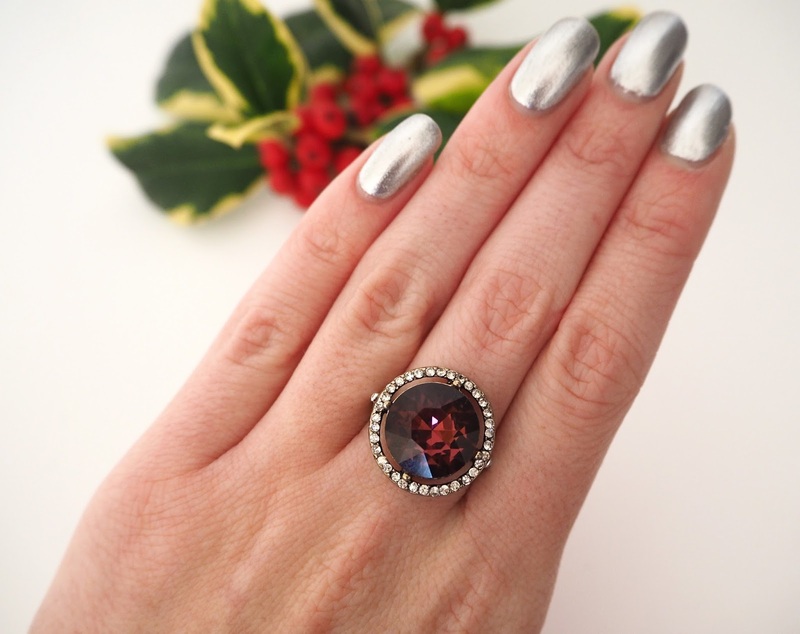 Perfect for party season! 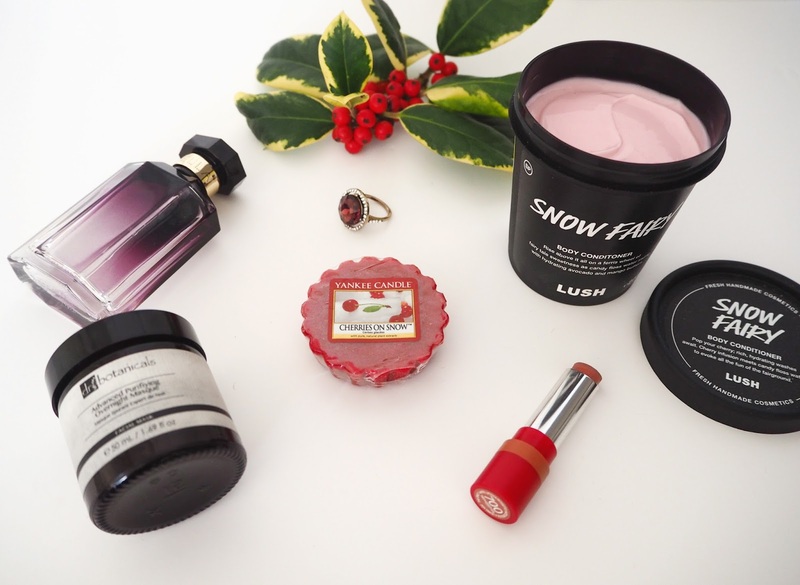 Cherries on Snow Yankee Candle | Call me crazy but I actually had a little celebrate when I heard this fragrance would be coming out of retirement as a limited edition this Christmas!! Cherries on Snow is an all time favourite fragrance of mine Christmas or not. I was so sad when it got retired and have been trying to save my last few melts and two small jars that I had of it as long as possible! I'm so happy that I can now stock up though and freely enjoy it again. 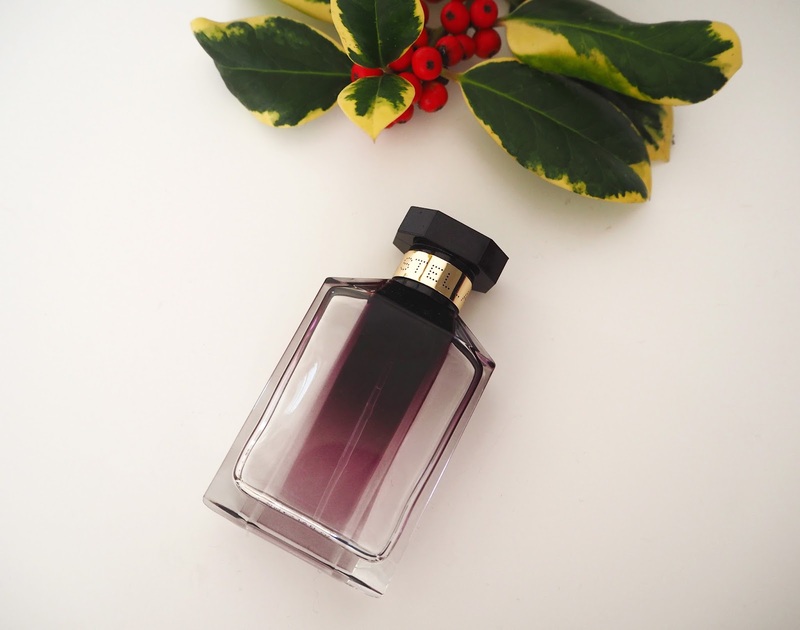 This scent is a real bold cherry but with an icy fresh feel and slight almond notes. I kind of feel like if they make Cherry Bakewell ice cream (maybe someone does I don't know, need to try it if so?!) then this would be what it smells like! You can almost taste it when you're burning/melting it. "An enchanted, sparkling blend of bright, juicy cherries with sweet almonds and an icy freshness." 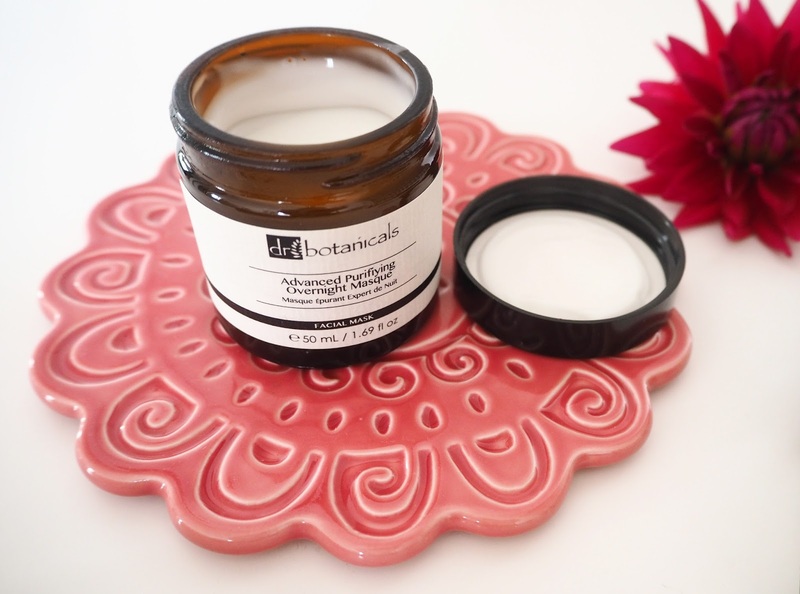 Dr Botanicals Advanced Purifying Overnight Masque | I recently reviewed this product along with corresponding facial oil in a blog post. I about 2/3 of the way through the pot and I just love it! I feel it's just the treat my skin needed heading into the winter months as although my skin type is oily/combination I do get dryness & tightness especially around my cheeks when the weather gets colder. This night cream is rich in vitamins, minerals and contains jojoba oil & sweet almond oil making it truly moisturising. It also smells incredible as it includes a Papaya extract, so I love using it at night time and having this wonderful fragrance on my skin before bed! Get a massive 70% OFF all Dr Botanicals orders until the end of the year by entering the code BLOGDB at the checkout! Stella McCartney Perfume: Stella | I recently had a big sort out of all my perfumes as I wanted to display them a bit better on my shelf, the bottles are all so pretty it seems a shame not to! So I rediscovered a few old favourites that I hadn't used for a while, this being one of them. Stella is such a beautiful feminine fragrance that I've fallen for all over again. I might even have to repurchase in the January sales as its looking like I'm going to finish the bottle very soon! "This is a feminine and sophisticated floral fragrance, designed as homage to the English rose in full bloom in a classic English garden. This fragrance starts with mandarin & peony top notes which are followed by English roses, finally finishing with a warm amber base." 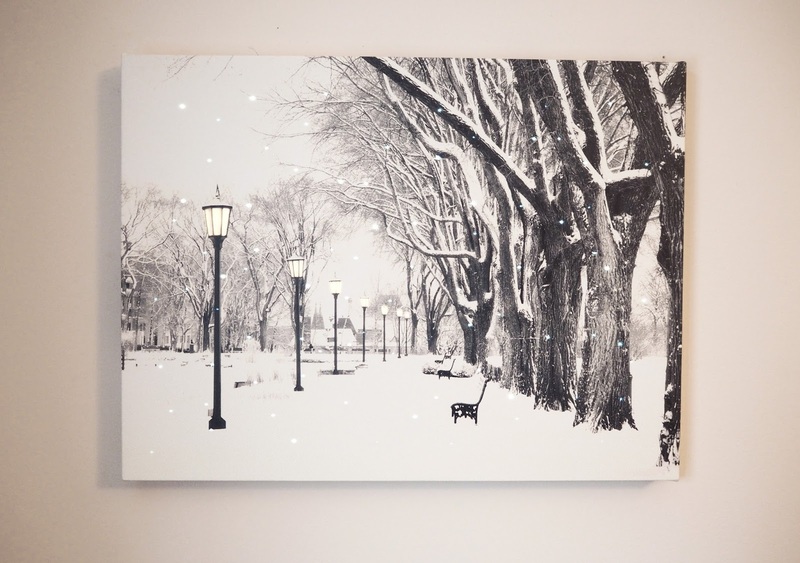 Winter Wonderland LED Canvas | This isn't it the main picture but I wanted to include it anyway! I saw this canvas at my local garden centre recently and instantly fell in love with it. The Winter Wonderland scenery is so dreamily beautiful it reminds me of Narnia and I love having the tiny LED lights that are sprinkled across it, twinkling on my wall every evening. Even the lights in the street lamps glow. It works using vibration technology so all I have to do to turn it on and off is to tap the front of the canvas which I think is pretty cool! I'm thinking I can keep it up after Christmas well into January/February as it's not overly festive, then I think I will be on the look out for a floral or beachy LED Canvas! What products or items have you been loving over the last month? That LED canvas is so pretty!